. A few headed toward the wallow (think big sandy pit) where they tossed and rolled in the red sand. The canyon is beautiful, the campsites are very spacious, and the bathrooms clean. The prairie dogs are just like the video – popping out of holes one or two at a time, scurrying around while chattering the entire time. Once Jezzy figured out that they were squirrel-like, she was all about getting closer to her new ‘friends’. The upside to that is….if she somehow gets loose from us, we know exactly where she’ll head. Retrieval will be simple. 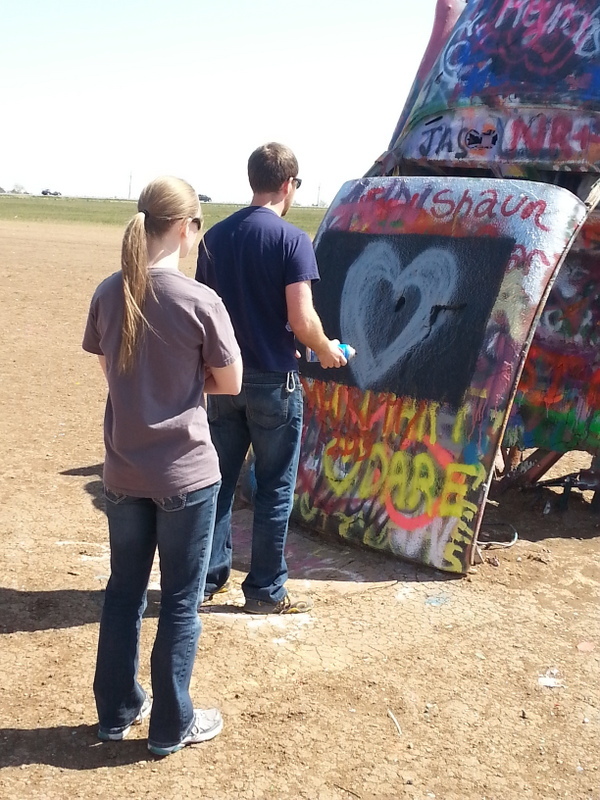 On the way to Caprock, we stopped to see the famous Cadillac Ranch. 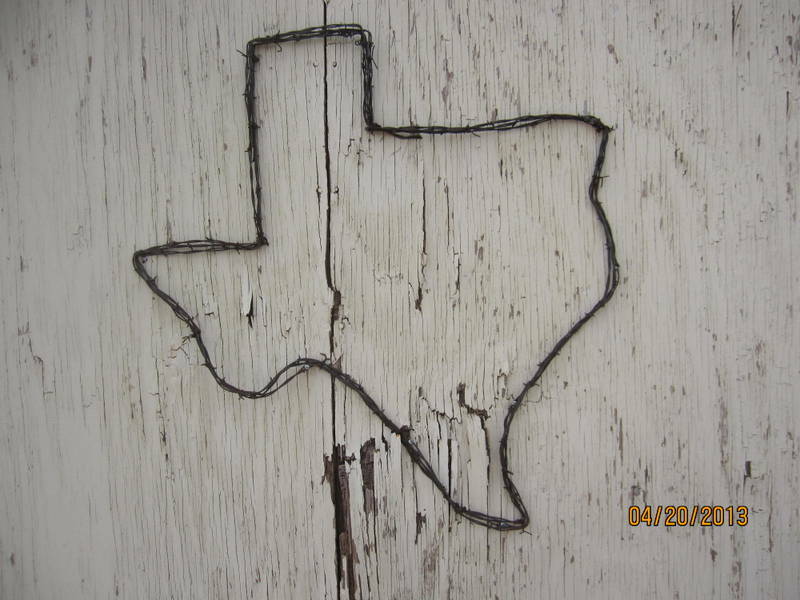 This is the graveyard for ten Cadillacs buried nose-down in the Texas soil. I’ve seen images of this, but was really unprepared the site itself. 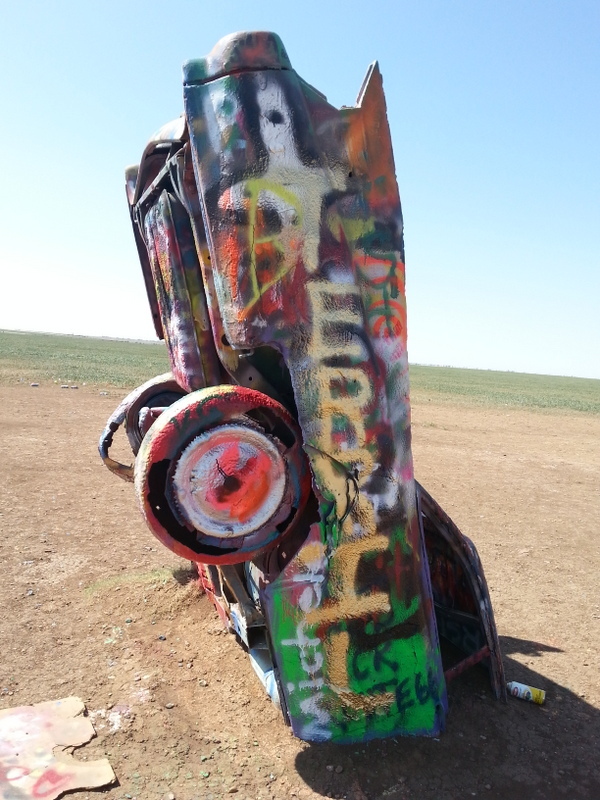 My preconceived idea was of Cadillacs in pink, blue, and silver pristinely preserved on the Texas prairie. Not so. They have been a free-for-all for graffiti artists through the years, and are buried under layers of spray paint. A few new painters were there when we were, and we observed them in action. There’s a constant state of new painting going on…. I kind of like the changing face of this. What I didn’t care much for was the huge amount of trash on the site…..tons of spraypaint cans, bottles, and other assorted cans. But, I did wish that I had a little can of red paint to spray a heart with John’s and names on it. 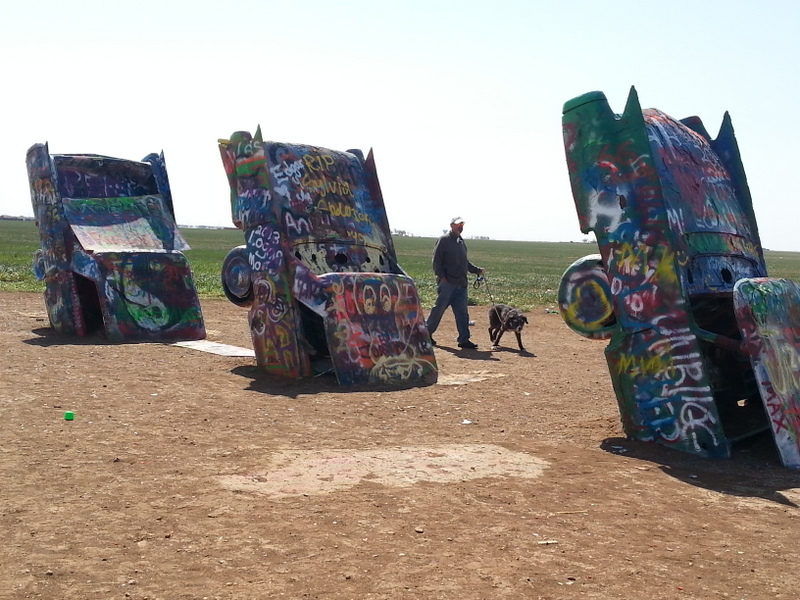 An odd little bit of Americana, near Amarillo. On Saturday, we attempted to cycle on the Caprock Canyons Trailway, a 62 mile dirt trail that takes in some interesting sights of the area. We headed off in a huge headwind (25mph or so) to get the five miles to the trailhead, which is an old railroad right of way. It’s as flat as you can possibly imagine, the two-track dirt stretching before us as far as we can see. Our goal was to get to the Clarity Tunnel, an old railway tunnel, which is now the home of the Mexican free-tailed bat. You must walk bikes thru the 800 ft tunnel, which I was nervous about, but prepared to do. Not to worry….less than a mile into the Trail, John had a flat tire. We got it changed, but decided to abandon ship and head back to town for coffee, as the wind was making us miserable. By the time we got back to the mostly abandoned town, he had a second flat on the same tire. I decided to ride ahead in search of a café or coffee shop. Returned to John (about two blocks) to find that I also had a flat tire. Changed it, John’s other tire went flat, my other tire went flat….it went on and on!!! We had picked up dozens of tiny little thorns on the Trail, which went thru the rubber to puncture the tube. We finally decided to abandon my ride back to camp (about 3-1/2 miles). John headed out to get the truck and come back for me. I headed to the café for the worst $1 cup of coffee I’ve ever had in my life. Decided to start walking to camp with my bike, to shorten John’s rescue mission. After we finally got back to camp, we pulled tires and tubes off completely. Both bikes had all tires flat. John found 8-10 holes in each tube. I spent about two hours with a pair of tweezers pulling teeny little thorns out of the tires. We’ve had better days on bikes, for sure. Guess we survived, but pity anyone else thinking they’re going to ride 62 miles on this trail. HA! The wind has driven us back into the Fireball for the evening (Saturday). 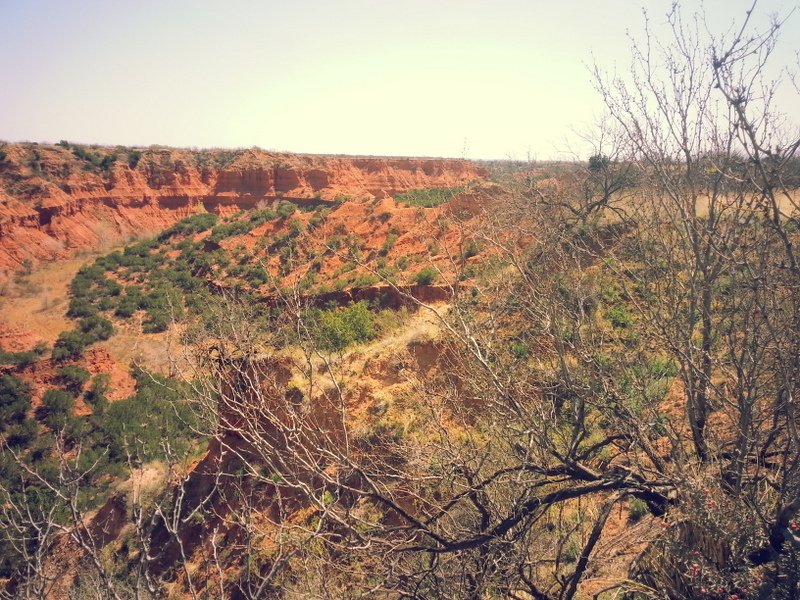 Sunday and Monday, we’ll be at Palo Duro SP, then heading east. We’ll be in Evansville, IN next weekend, and home on Monday the 29th. Re-entry to real life is going to be difficult. Meant to say, they SHOULD post a warning. great photos, enjoy your ride. I’ve heard Bob Ayars talk about those thorns. You are now part of the Thornbirds club. It’s pretty crappy. While we were “in town” trying to patch tubes and get on the road, a townie approached us and asked if we had been on the trail. When we said “yes”, he said “hmmmm, I thought they just re-topped that”. So, obviously it’s a known problem. Seriously, I must have pulled at least 40 thorns from each of our tires. We were totally unprepared for such an event – we each had one new spare, and John had a patch kit with at least 10 patches. After a bit of using the tiny pump to try to get us on the road, we just gave up. I would imagine that the films of us trying to repair our tires in “downtown” are pretty comical. We’d get one fixed, and turn around to find the one we just fixed was flat again. Ridiculous! 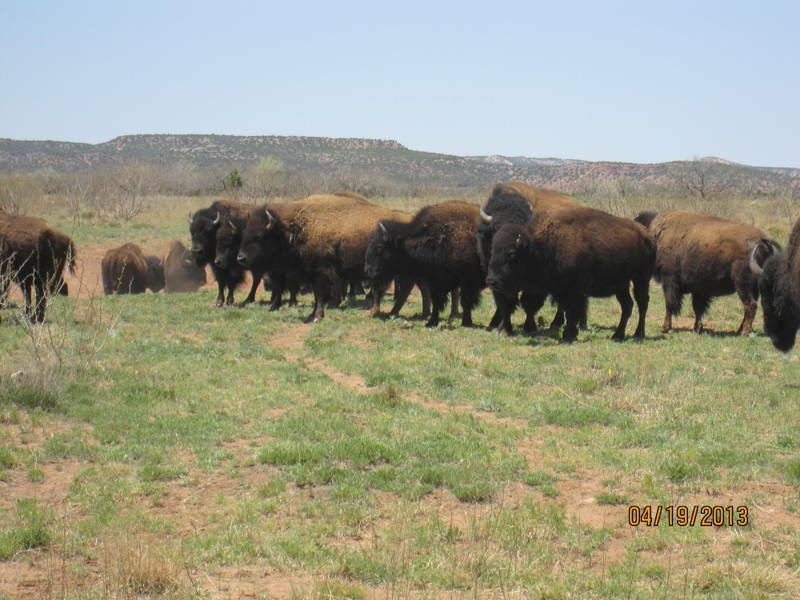 I like how you consider the Bison herd “large” at 30….when it used to be 300,000. Hopefully, the “official” largest herd of Texas is larger than the 30 we saw at this one time. 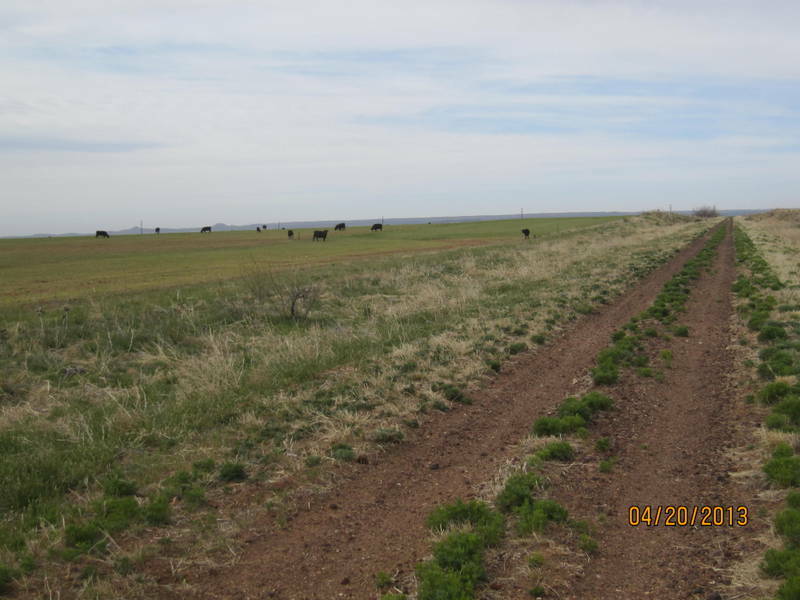 We did see what appeared to be a private herd that was much larger alongside the highway to Wichita Falls. Even the Sprik Farms herd on 8th Avenue is larger than what we saw. Still, proximity is everything….